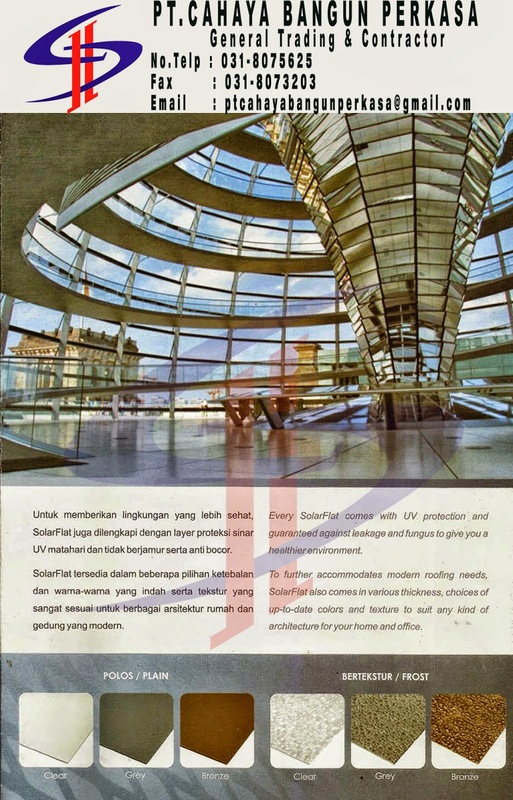 Atap Transparan ( Translucent ) SolarFlat solid form delivers high clarity ( transparency of glass ) combined with strength and Impact resistance. 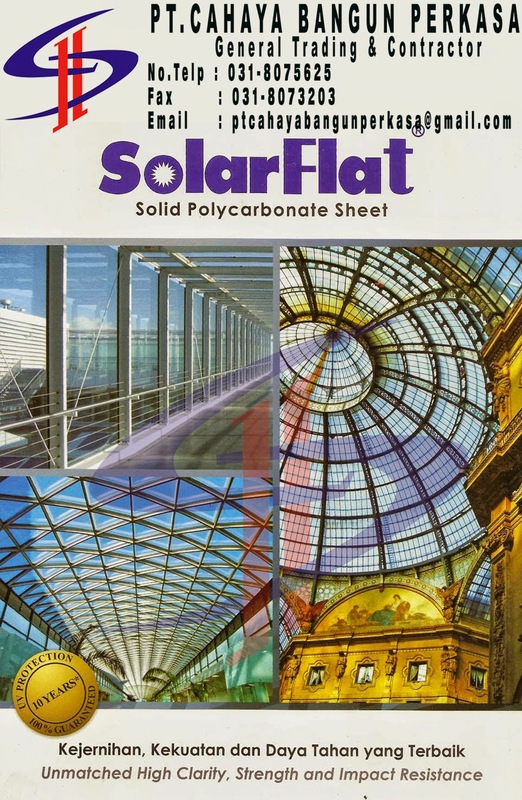 Atap Transparan"Translucent" SolarFlat can be cold bent, Loricated or formed, also ideal as safety glazing and machine guards. 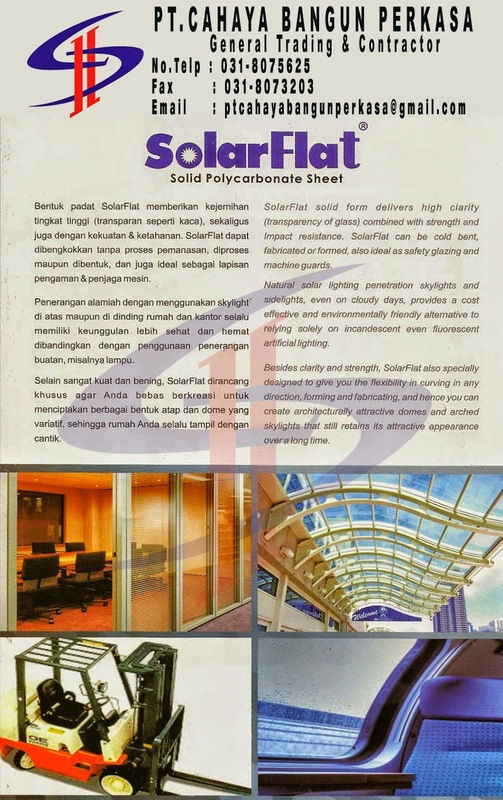 Natural solar lighting penetration skylights and sidelights provides a cost effective and environmentally friendly alternative to relying soleiy on incandescent even fluorescent artificial lighting. High clarity and light transmission. High impact resistance, virtually unbreakable. Light weight, easy to handle and install. Temperature application range : - 20°C to 120°C. 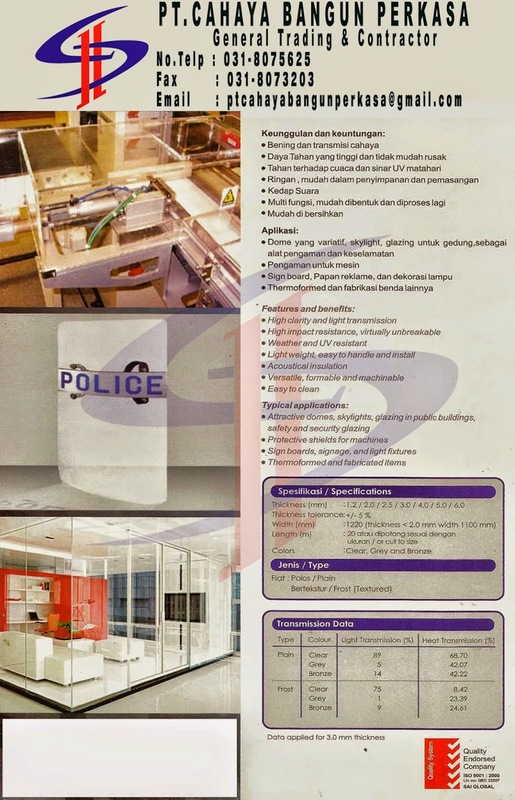 10 years limited warranty against yellowing and breakage due to loss of Impack strength. 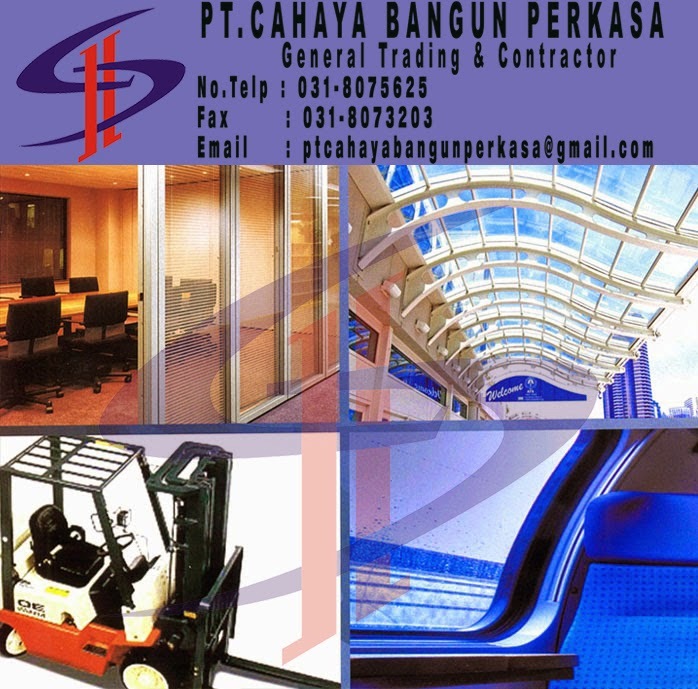 Attractive domes, skylights, walkways,glazing in pu ic buildings, safety and security glazing.